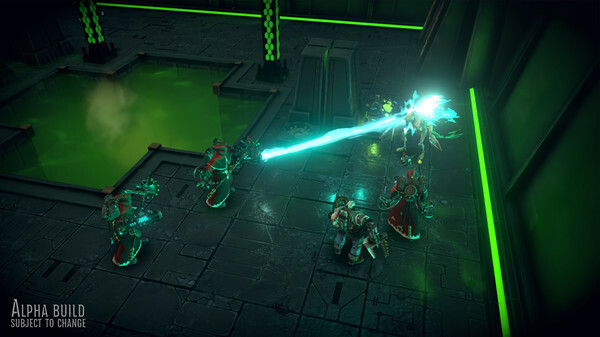 Bulwark Studios seem to be remaining cautious in their approach to the Linux (and Mac) versions of Warhammer 40,000: Mechanicus [Official Site]. It's come to our attention, a matter of days before we announced the Pre-Order, that other games developers have been having issue with Mac OS & LINUX versions of their titles. The post seems to have an aim of preempting any backlash about possible issues when it comes to the release date, if they have to delay it for us. When we hit Quality Assurance (QA) we will be able to know if we're able to tackle these issues or not. This does mean that it could be a super easy fix and all goes smoothly, or it could take us weeks just to tackle this one problem. Trying to solve this now would affect the development progress of the entire game, which is why we have to take this path. From that, it certainly seems like they haven't actually had any trouble yet and they did also say that "Ultimately MacOS and LINUX will come! This is a promise!". As much as I appreciate them being open about the situation, it does seem a little odd to be posting about something that might not even be an issue at all. Still, it's better than what we hear from other developers that's for sure, some are far too quiet about issues so it's kinda refreshing. Looks like it will be an interesting strategy game, I'm certainly very interested to see what they come up with. Let's hope they don't regret saying that. If they're not making preparations for it early enough, they might find some middleware choices coming back to haunt them when they're only available for Windows—something I had a chat with another developer about today. Most likely they have never tested the Linux version yet . inquisitor martyr for mac and linux please! Well, just about everyone seems to hit a snag with GNU/Linux when it comes around to release time, so I'd say they're doing the right thing here. Letting people know in advance, and letting people they're still planning a release. So I like their comments. But I still won't pre-order. Or anything else. I'll buy it when there is a release, not before. The current version of Unity is having some issues, yes. I know of at least one or two projects that are waiting to release until they are resolved, and another that is recoding some plugins and such with their own custom portable code to get around any issues. I would recommend that they simply export and then test in a VM (or on a separate boot partition, which is easy to set up) and see what happens. Additionally they can push the Mac and Linux versions as beta-only until they are stable enough to offer full support. I understand developers have issues but it's not usually rocket science to figure out what needs to be done (not always easy, but still). And the sooner you do it the less issues you have long term. Hopefully Unity get on and quash those bugs and start with better Linux releases. Yet again I don't understand why some devs don't code cross platform from the start and test on every platform, it's a good way to catch bugs and problems that you never knew you had which in the end leads to a more stable product on all platforms.